Five inches of raglan completed! The finish line is in sight, and I *really* didn’t think I was going to make the deadline! I am so far beyond impressed I’m not able to find the right words. That Is Incredible!! Great Job! It’s remarkable how quickly you cranked out this one! Woot!!! It’s gorgeous! Great job! WOW! That is absolutely gorgeous!! Congratulations! Good god Laura, do you have any fingers left?! Hell, frikin’ yeah indeed! Looks great, love the colors and the pattern. Yay, go you! I have a great amount of respect for any knitter who can make such a large project in such a short amount of time. Absolutely gorgeous – I’m really really tempted to buy that Rowan mag, now! You don’t sleep, do you?! It’s just lovely. God, it looks so good! WOW. You are GREAT! 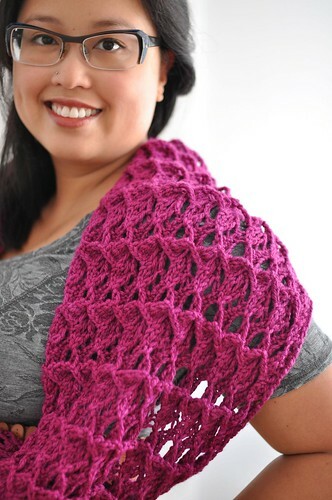 How in the world can you knit that fast?! Your sweater is AWESOME! Awesome! And you cleverly chose a project that didn’t involve massive amounts of seaming . . . smart. Very smart. I have been lurking watching your progress–the sweater is absolutely gorgeous. You’re going to make it and I bet you’re going to love it, too. That’s amazing! How much sleep time do you even have in the first place? you are amazing! i am in awe…. It’s looking absolutely fabulous! Well done, you! The more it comes together, the more I like it! I also love the colors you chose! I so knew you would finish it on time. It looks awesome. Are you getting any sleep? Wow! I never had any doubts you would reach the finish line on time. It looks golden to me. Eunny, maybe you could tell us how you get the fair isle pattern to go over the arm joins. Not just for this particular pattern, but in general what is your thought process for figuring it out? Ooh, that’s truly beautiful! I’m just amazed of your knitting speed and stamina. Wow and WOW! Beautiful and I love the colour! “Hell, yeah” is right! Woohoo!! Wow! That looks absolutely stunning! I love love love the colour combination. Congratulations. Here’s to the homestretch!